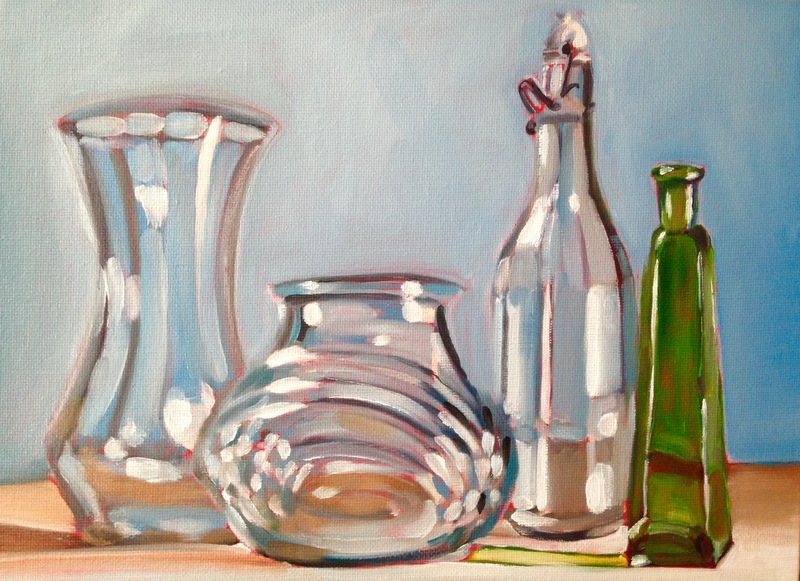 Another still life that is almost monochromatic save the green bottle and some ambient color from the background. This is really about shapes and the light reflections that give form to them. This should be available for purchase in November at http://www.atlantaartistcollective.org. If not and you are interested in purchasing it, contact me directly.